Why locals will love it: This giant bar crawl gets you out of Downtown and into areas you might not visit otherwise, like Johns Island. Plus, you’re noshing on sushi en route, and you have a built-in DD from brewery to brewery. If you ever wished that you could eat lots of sushi on a bus while visiting a few of Charleston’s best breweries, then the Sushikon tour is right up your alley. Depending on the tour (we like the three-course Saturday tour, but there’s also a two-course Friday tour, and a Sunday Brunch tour), you’ll get a comfy seat on the Sushikon bus, a creative multi-course Asian meal, two 12oz beer pours at three different Charleston craft breweries, and guided brewery tours. It’s a little pricy compared to some of the other tours, but you’ll definitely leave feeling full and a little buzzed. Why locals will love it: You’ll see the Farmers Market through the eyes of a chef and try veggies you were too afraid to attempt to cook yourself. You might even learn some new fun facts about your hometown. Odds are you’ve been to the farmers market 1,000 times already, but the Chef’s Showcase Farmer’s Market Tour offered by Charleston Culinary Tours is a unique experience. You basically get to be a participant in a farmers-market-meets-Iron Chef type experience, where your group picks out a bunch of goodies at the market, and one local chef puts together a unique meal with those ingredients. 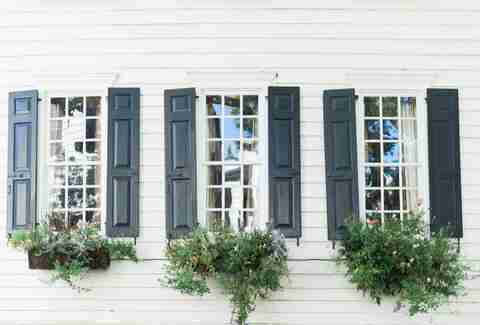 While the chef cooks, you’re led on a 45-minute walking tour of Downtown Charleston en route to the chef’s restaurant. You can take this tour multiple times and have totally different experiences, depending on the chefs and ingredients you pick out. 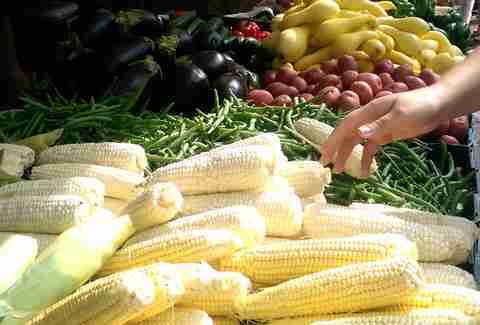 This tour operates as long as the farmers market is in session (mid-April thru mid-December). 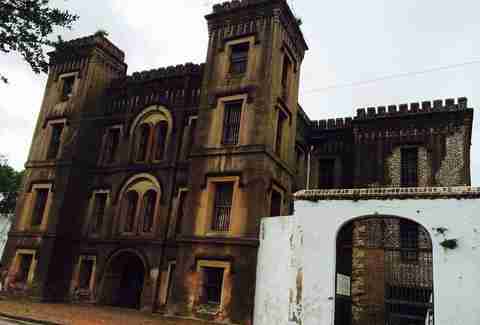 Why locals will love it: The Haunted Jail tour is often overlooked, but when you’re in the mood for a good scare, this is the tour you’ll want to take. With Halloween right around the corner, grab some friends and get ready to be spooked at The Old City Jail tour, offered by Bulldog Tours. The jail was in use for about 137 years until 1939, and most of the building’s original structures are intact. You’ll hear stories like the legend of Lavinia and John Fisher, 19th-century hotel owners who supposedly poisoned their guests and haunt the cells. We were skeptical at first, but after a few minutes inside the jail, the creepiness started to set in and we started feeling like we were about to become a character in a new season of American Horror Story. Why locals will love it: Sometimes, Charleston seems too perfect to be true. 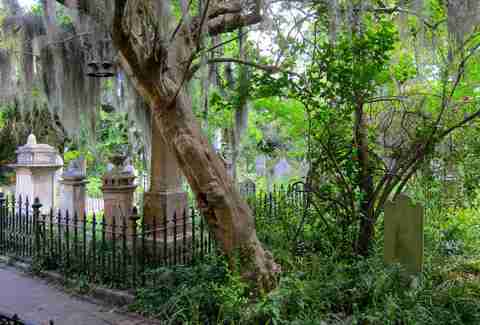 This tour gives you a nice dose of reality with a glimpse at the seedier parts of Charleston’s history. It’s extra fun to do around Halloween when there’s that spooky chill (chill being a relative term here) in the air. If the Old Jail is too intense for you but you still want to feel a little creeped out, we recommend the Pleasing Terrors ghost tour, offered by Old Charleston Tours. The 90-minute, year-round excursion offers the perfect balance of history and spookiness, so you can justify taking it as history lesson. Keep the creepiness going by grabbing a dinner or a drink afterwards at notoriously haunted Poogan’s Porch on Queen St, just a block away from where the tour begins at Washington Square Park. Why locals will love it: If you already own a kayak or a boat, you’ve been to all the usual places. For your next water adventure, head to someone else’s waters. 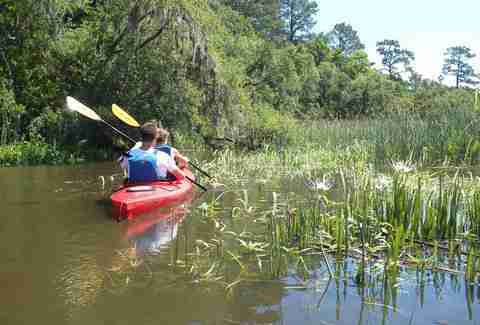 For those more interested in the natural-side of Charleston, or if you’re looking for a tour that’s a little more adventurous, grab a paddle on the Blackwater Cypress Swamp Kayak Tour, offered December through April. You’ll learn a little more about the Charleston area, including the different flora and fauna, as you paddle beneath a 100ft-tall canopy of Cypress and Tupelo trees on this three-hour guided trip. For a spooky-twist, take the evening swamp tour and enjoy the chorus of cicadas and owls for a completely different experience. There are no currents, no wind exposure, and no crowds in this private swamp, so it’s a great for all experienced kayakers and newbies alike. Why locals will love it: You’ve seen the Sweetgrass Basket artisans in the Market and have likely bought a Palmetto Rose for a friend or loved one, but this is your opportunity to learn more about the impact the Gullah Geechee people have had on this beautiful city. People unfamiliar with Charleston might not have heard the term “Gullah” before, but it represents the culture and language of the Lowcountry’s first African-American inhabitants. The two-hour tour takes place on an air conditioned bus (very important if you’re visiting during the summer) and is led by Rantowles, SC native Alphonso Brown. During the tour, you’ll visit important Gullah sites like the Sweetgrass Market to learn about Sweetgrass basket sowing, the Whipping House (a portion of an old jail for slaves), and more. 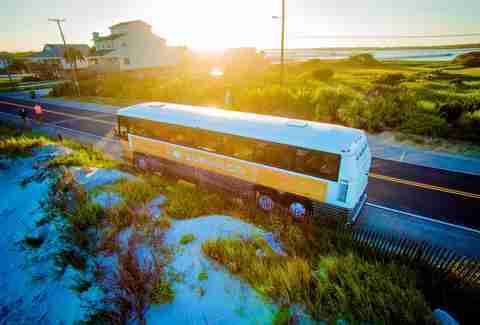 While on the bus, you’ll also experience true stories that feature Gullah language, culture, and music and how it relates to Charleston’s past, present, and future. 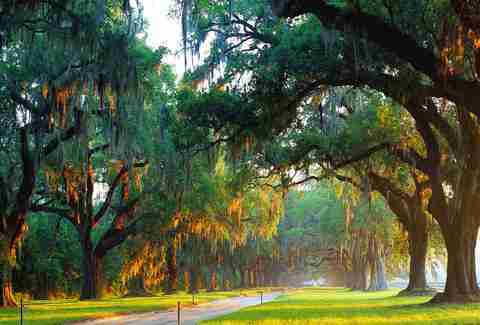 Why locals will love it: If your only experience at Boone Hall Plantation is for the Oyster Festival or Pumpkin Patch, you’re seriously missing out. The historic plantations in Charleston look like they’re straight out of a movie set -- and best of all, they’re right in your backyard! 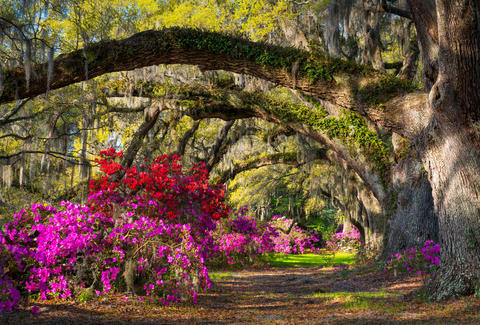 There are four well-known, historical plantations in the Charleston area -- Middleton Place, Drayton Hall, Magnolia Plantation, and Boone Hall Plantation (aka that place where Ryan Reynolds married Blake Lively). Each plantation is unique and offers you a totally different experience. They’re all worth seeing, but each takes up to four hours or more to explore. We recommend picking a plantation and seeing what tours they offer on site or doing a self-guided tour to really get a feel for the experience. Don’t forget to bring a camera, as there will be lots of things you’ll want to take photos of. Why locals will love it: All the breweries in Charleston are so spread out -- a Brews Cruise gives you the ability to try different beers without dealing with the hassle of transportation (or worse, losing your buzz). Drink up! In case you’ve been living under a keg of big-brand brew, Charleston is a city obsessed with craft beer. Right now, we’ve got 12 breweries, three brewpubs, and another few breweries projected to open by the end of the year. The folks at Charleston Brews Cruise want to make sure you get to try the best that the Holy City has to offer by celebrating the “science and passion inside every glass of great beer.” They offer two beer tours, including a four-hour tour that gets you five or six generous pours at three Charleston breweries, alongside a lot of lessons on the process of brewing craft beer. Another two and a half-hour tour offers five or six pours at two local breweries, and focuses more on the “fun” aspect of brewing (like live music and lots of beer), rather than the science and behind-the-scenes happenings. Why locals will love it: If you’ve ever caught yourself walking along The Battery trying to get a glimpse inside the multi-million dollar mansions that look out over the harbor, this is the tour for you. Every fall, the Preservation Society of Charleston hosts a fall tour of stately homes (happening this year through October 30th), which gives you a glimpse on how the other half lives in the Holy City. Choose between a South of Broad tour, Upper Tradd Street tour, or Gardens of Ansonborough tour and prepare to gaze in awe at the impressive architecture, design, and landscaping of these old, multi-million dollar historic homes and gardens. You’ll never look at your one bedroom apartment the same way again. Why locals will love it: If you’re in dire need of new head shots, engagement photos, or just a stunning new profile pic, this is the perfect tour to take. Rather than visiting the same old historical landmarks, this trip also takes you to the most picturesque parts of Charleston that aren’t found in many guidebooks. Local award-winning photojournalist and 10th generation Charlestonian Liz Duren guides a two-hour walking tour around the city. As Duren shares family history, she takes photos of you with the beautiful Charleston architecture as a breathtaking backdrop. You get one image from the tour for free, and are able to purchase other images from the gallery as a digital download afterward. Prepare to make all your followers on the ‘Gram jealous.